Andrew Barrett-Miles is a retired executive. 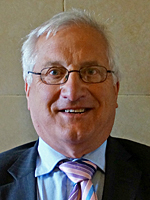 He currently serves as a Burgess Hill Town Councillor and Mid Sussex District Councillor. He is also Chairman of Child Help in Hassocks. Andrew is married with three children, and has five grandchildren. In his spare time he enjoys the theatre, opera, watching sport and playing golf.